Red Hill Marathon is an official qualifier for the Old Mutual Two Oceans Marathon and Comrades. 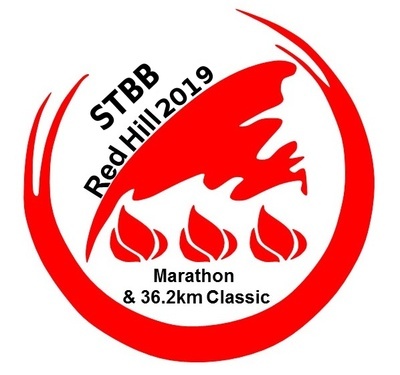 The Red Hill Marathon & Classic is an undulating road race for those who want to qualify in conditions that mimic the hills and challenges of the Old Mutual Two Oceans Marathon and Comrades. On the day entries avaialble. Late entries will incur a R10 admin fee on the advertised rates. Up- or downgrade: You can change from the marathon to classic or visa versa at the marathon split just before Red Hill by giving the marshal there the left-hand corner tear-off on your race number. Medals: The first 2250 runners to cross the finish line before cut-off receive medals. Prize-giving: Prize giving for both races will start at 10h40. Lucky draws: R 5000.00 lucky draw Cash prizes. Parking: There is loads of parking on the sports fields, NO vehicle is allowed into the designated parking area where the medical control center is allocated. Route: Both races will proceed from Fish Hoek AC along Kommetjie Road to Kommetjie, up Slangkop, through Misty Cliffs and Scarborough to the Perdekloof intersection. The 36.2km Classic will fork to the left up Red Hill. The Marathon will fork to the right and do a 6km loop towards Cape Point returning to the Perdekloof intersection where it re-joins the Classic up Red Hill. Both races are then run over Red Hill, down towards Simonstown Main Road and back through Glencairn before winding through Fish Hoek and finishing on the field at FHAC.